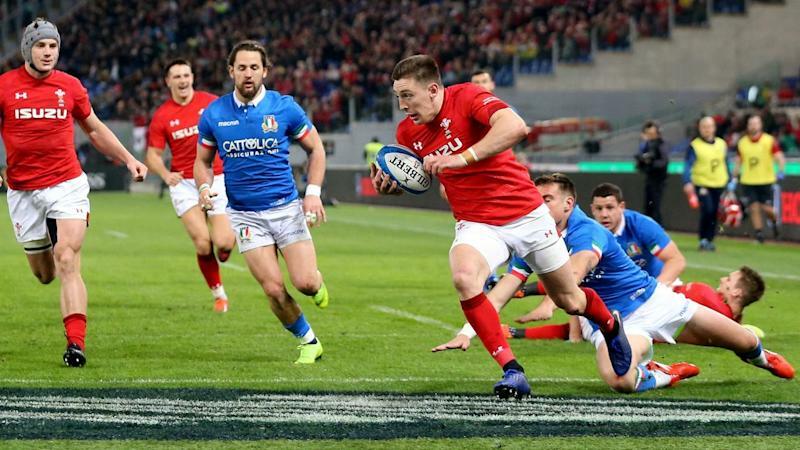 Wales have overpowered Italy 26-15 in the Six Nations, notching up a record-equalling 11th straight victory, the first such Welsh winning streak in a century. Wales, who beat France in their opening match, dominated possession but scored only two tries in a performance on Saturday that is unlikely to have caused too many concerns for their next opponents England. The visitors took 54 minutes to score their first try, when winger Josh Adams touched down, having shown a little too much respect to the home side in the first half when starting flyhalf Dan Biggar kicked four penalties. It was Italy who scored the first try when South African-born flanker Brahm Steyn barged across the line, breathing hope into the perennial wooden-spooners who have now lost 19 straight Six Nations matches stretching back to 2015. But it was not to be for the long-suffering Rome crowd, despite each side scoring another try through Wales centre Owen Watkin and Italy winger Edoardo Padovani.